Logitech is releasing two notebook bags in September – a briefcase and a backpack for 15.4-inch models. Each has exo-shell casing to protect notebooks from damage, and a larger, fanned compartment for easier access to the computer and other stored items. There are other internal storage pockets and document sleeves to keep accessories and papers safely in place. 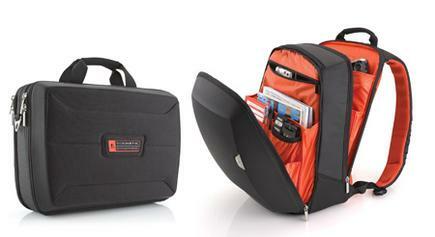 The bags’ back panel is contoured to make carrying laptops more comfortable and shoulder straps are thickly padded. Most 15.4-inch batteries can fit in the bags (even when extended batteries are attached). Apple’s 17-inch Macbook Pro can also fit. The bags have a five-year limited warranty.